After spending most of my weekend in ripped jeans and errand-running clothes, I love the idea of getting to wear a flouncy floral number to work come Monday morning. Looking for some inspiration for your next frock? Find some styles I'm loving below! Hope you have a great start to your week! Wow! Such a gorgeous dress! I love how you styled it! gorgeous! this silhouette was made for you! You look absolutely stunning in this ladylike, unique and chic outfit! Your dress is to die for! Stunning dress, you look so chic! I LOVE your trench. Been seeing these a lot. I have to find the right colour for me! Yes yes yes. Everything about this look is so perfect! 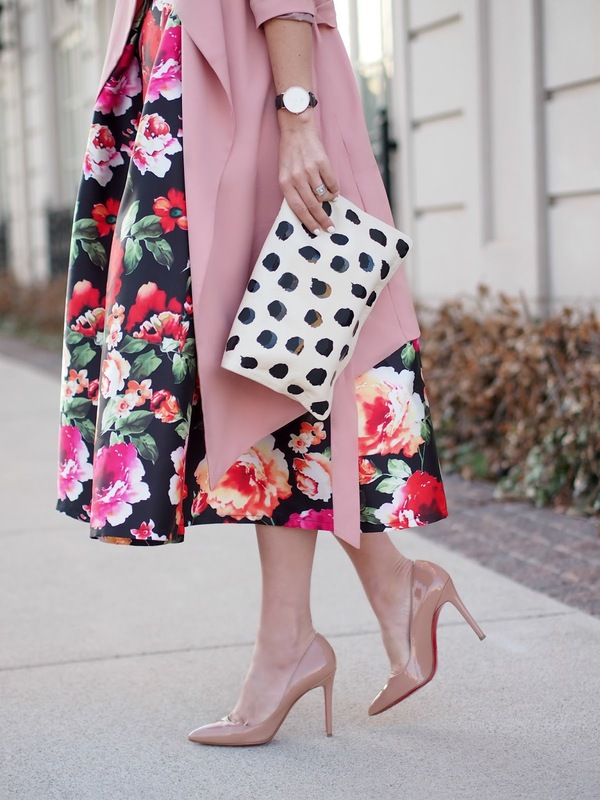 I love the floral and clutch combo, and the pink trench is so easy to throw on to make a look! 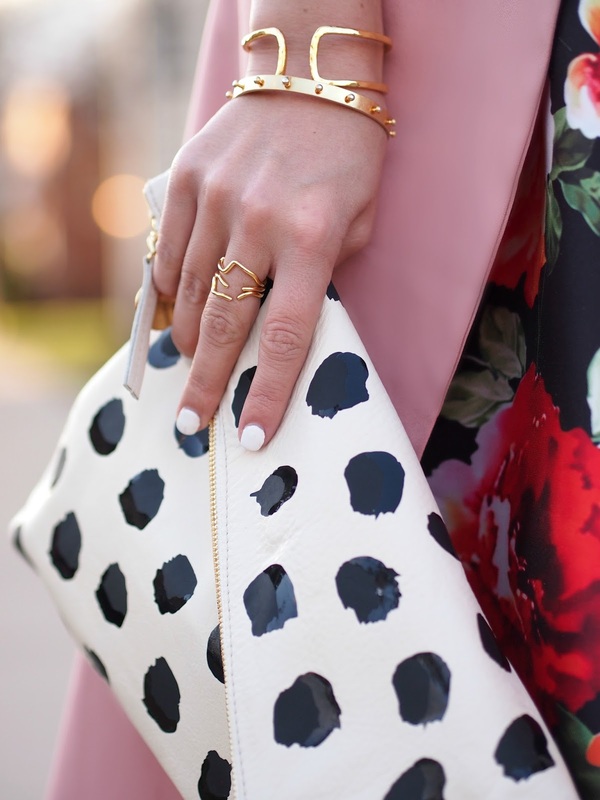 This is the perfect combo of colors and prints, love love love! Oh my gosh..this outfit is amazing!! So gorgeous! Love the bold floral pattern. Such a fun dress for the season! That is one epic dress! That dress is simply darling!